Offers an amazing collection of literature on etiquette and conduct –provides a true social history. Works include “How to be a Successful Hostess” (1930) to “How to Get the Most Out of Your Victrola” (1923). This entry was posted in Featured Resource on September 21, 2009 by Nancy. This entry was posted in Uncategorized on September 17, 2009 by Nancy. This entry was posted in Featured Resource, theatre on September 15, 2009 by Nancy. This entry was posted in News on September 11, 2009 by Nancy. These one-hour sessions provide an introduction to the vast selection of print, non-print (DVDs, CDs), image and electronic collections for film and performing arts at Columbia. All sessions will be held in 306 Butler. This entry was posted in How to... on September 11, 2009 by Nancy. In September 2008, Butler Media received a gift of 17,500 DVDs from Kim’s Media upon the closing of the uptown store. The collection is being added to Butler Media as the basis for a circulating collection. Titles circulate to all Columbia affiliates — 2 titles, 3 days. Faculty may borrow titles for one week. Use Pre-Set Limits (located on the right under title, author box). Be sure to click on Set Limits and then return to search box. Pre-set limits will work on keyword and title searches only. Do you want to find plays, screenplays, journal articles, images, movies, reviews, or biographies? Would you like to read a screenplay — online? Are you interested in early cinema history? Do you need to find information about how people dressed in 19th century New York City? Are you looking for a book on design? Would you like to search Google more effectively? If the answer is yes, please attend one of these informal, two-hour hands-on sessions. We will review a wide range of resources with a special focus on film and performing arts related materials. This entry was posted in How to... on February 9, 2009 by Nancy. 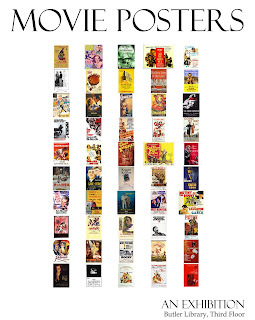 History of the American Cinema, is now available electronically through the Gale Virtual Reference Collection. This essential resource, also available in print, documents American film history decade by decade currently through the 1980s. In addition, Gale Virtual Reference includes The Columbia Companion to American History on Film: How the Movies Have Portrayed the Past, International Dictionary of Films and Filmmakres, Movies Made for Television: 1964-2004, and Schirmer Encyclopedia of Film. This entry was posted in Featured Resource on February 9, 2009 by Nancy.